In an effort to make your visit to McCray Dermatology run as smoothly as possible, we have implemented the following office policies. We look forward to providing you with the highest quality medical care. Please feel free to call for any questions or additional information. We accept Medicare and are an in-network provider for most PPO plans in California, including Blue Cross, Blue Shield, Cigna, Aetna, United Healthcare, Health Net, and Pacificare. We do not participate in any HMO or MediCal insurance plans. After hours: follow the voice mail prompts to leave a non-urgent message or to contact one of our office staff for emergencies only. 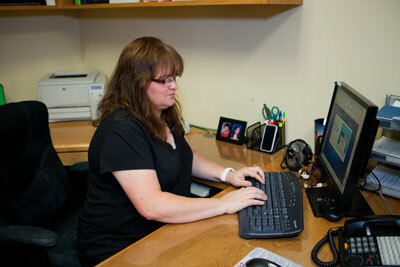 We collect all co-pays, deductibles, and co-insurance at the time of service. Cosmetic procedures are not billed to insurance and we require payment in full at the time of service. We accept cash, checks, and the following credit cards and debit cards: Visa, Mastercard, Discover, and American Express. After your insurance is billed and we receive payment, any additional balance is your responsibility. A bill will be sent and is payable within 30 days of receipt. To make an appointment, please call us at (661)254-7200 Valencia, or Palmdale (661) 947-3700. You can also email us at: info@McCrayDermatology.com. We ask you to bring photo identification and your insurance card with you to your first visit. If you have not downloaded and filled out the new patient registration forms in advance, please arrive 15 minutes prior to your appointment time. We ask that patients kindly provide us with at least 24 hours’ notice if they cannot make their appointment. This courtesy enables us to better utilize available appointments for our patients in need.